“We’re going on a bear hunt, we’re going to catch a big one…” Well, a fat one anyway – one of very little brain. We set off yesterday afternoon to Emmetts Garden, near Westerham, to follow their Winnie the Pooh trail. We are National Trust members, and so get unlimited access to all UK NT sites year round. Non-members can expect to pay £8 entry for an adult, £4 for a child and under 5’s go free. Other family tickets are also available. 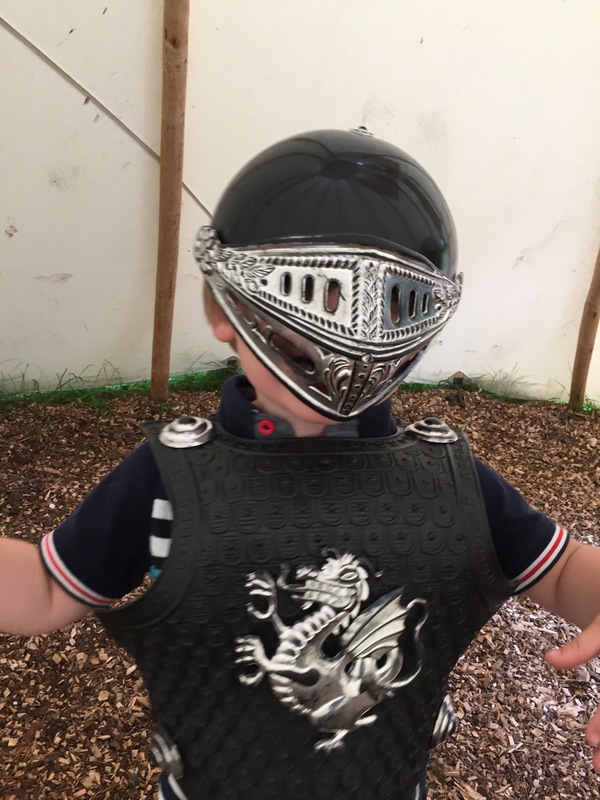 Emmetts Garden & Chartwell often run their trails in tandem, with both properties offering a Pumpkin Trail at Halloween, an Elf Trail at Christmas and an Easter Egg Trail at Easter and so on. We opted for Emmetts as it is generally a bit more pushchair friendly and I had both boys in tow. On arrival we were greeted with a map and a pencil, and we set off in search of Pooh & friends. It wasn’t long before we needed another sort of Pooh-break for the toddler and so off we dashed to the tea rooms, housed in the old stable block. After that, we sought refreshment and reward in the form of their delicious ice-cream. Yum!! Strawberry for the toddler and Mint Choc Chip for me. 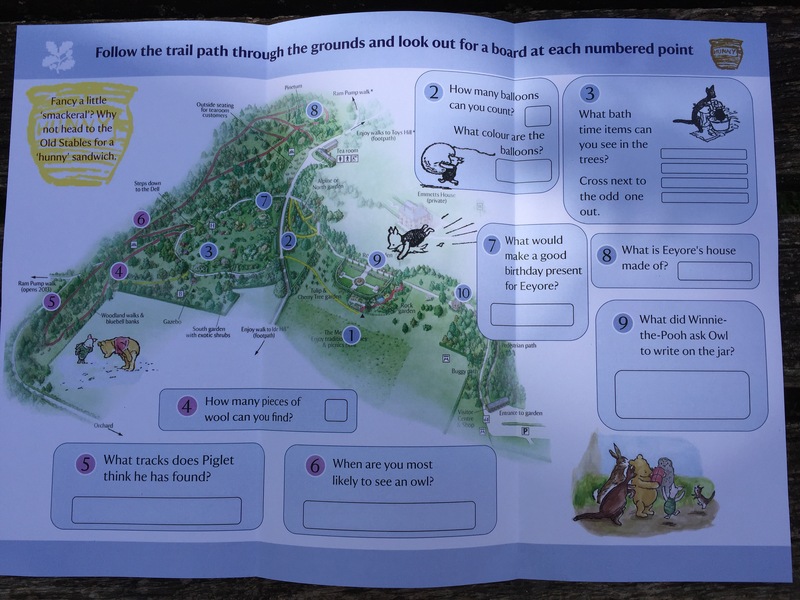 Then, back to the task in hand and our Winnie the Pooh trail. We are told that it is Eeyore’s birthday and that we need to find a suitable gift for his party. Having just celebrated his own 3rd birthday, the toddler was in his element – specialist subject, parties & presents. “What about a stick?” he offered helpfully. And so we spent the next 20 minutes finding the perfect sort of stick for Eeyore. Once we’d slayed some dragons and rescued the princess, (poor baby brother), it was back to the gardens again to finish the last few stops on the trail and claim our well-earned sticker from the visitor desk. 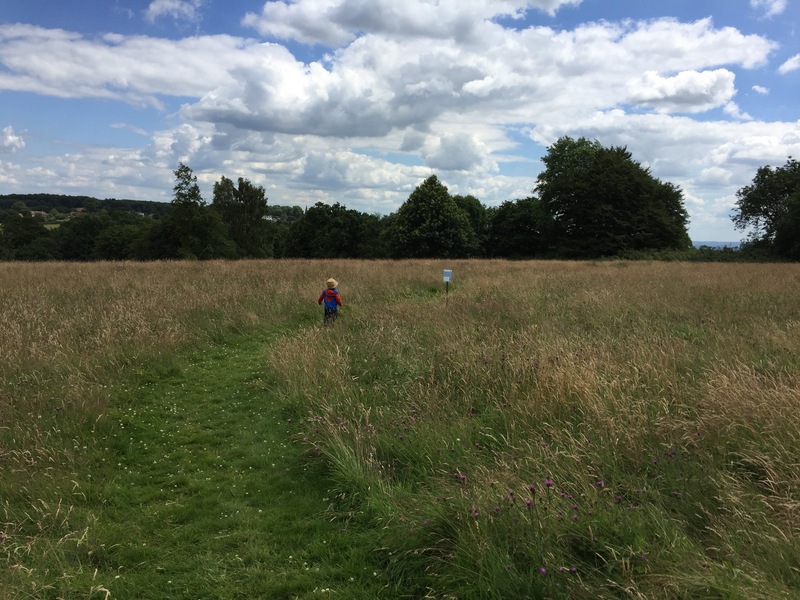 We loved the trail and would recommend to families of children of all ages (although slings for non-walkers, rather than pushchairs might be advisable). 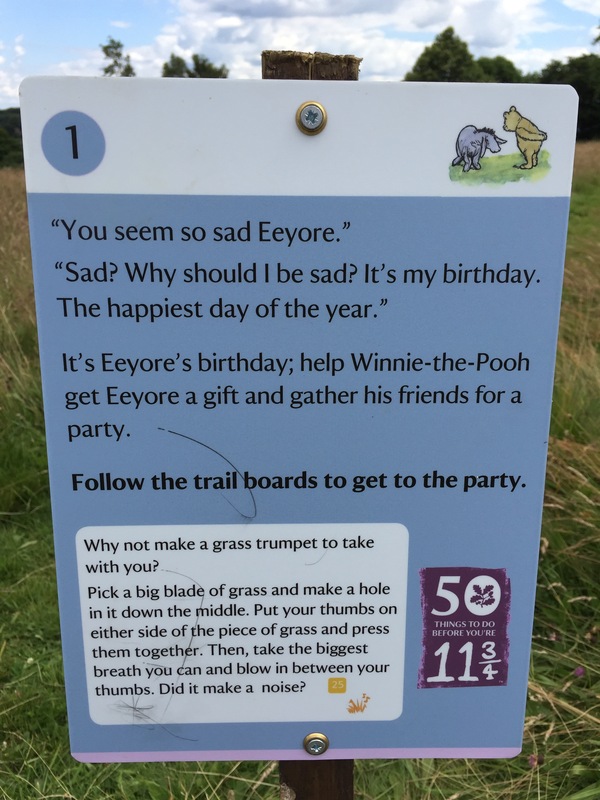 It’s created in tandem with the National Trust’s “50 Things to do before you’re 11 3/4”, so probably slightly better suited to children older than mine, but we loved it all the same. We had taken the boys to the Ashdown Forest to play Pooh Sticks in the Hundred Acre Wood last month to celebrate our 5th (wood) wedding anniversary, so the characters are very familiar. 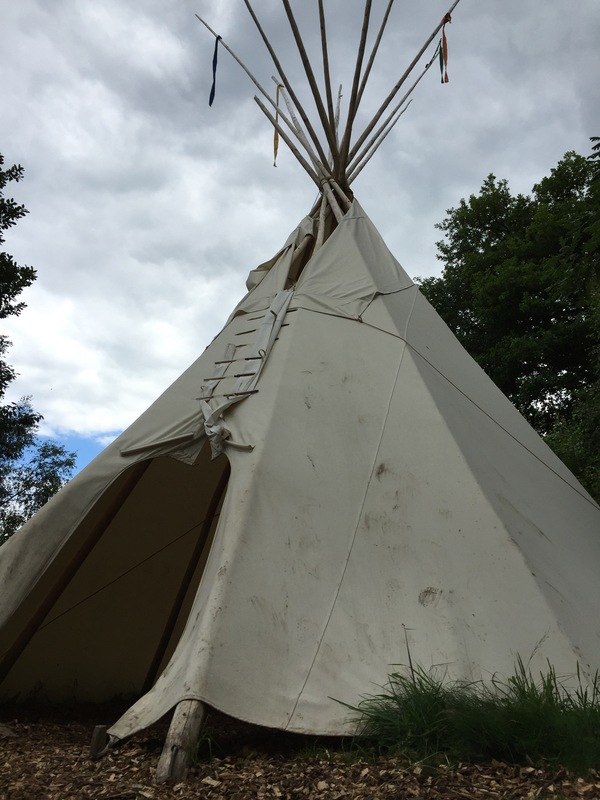 The trail is running from 2nd July – 4th September 2016 and is free (once you’ve paid your entry fee). The maps are brilliant and so much thought has gone into the detail! 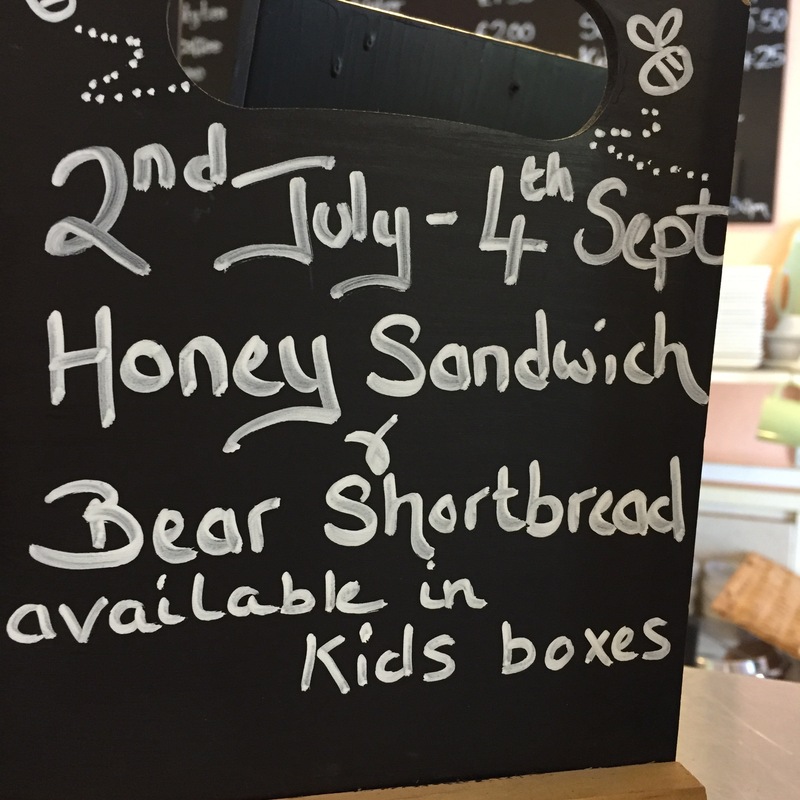 The tea rooms are even offering honey sandwiches and bear shortbread in the children’s lunch boxes all summer long! 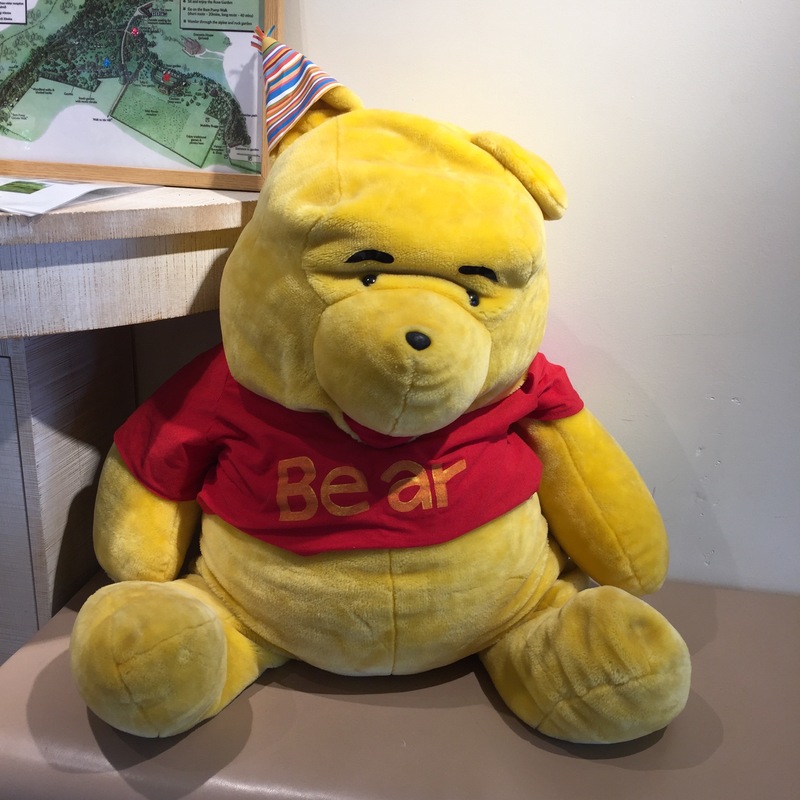 We’ll be visiting Chartwell soon to complete their trail too, making sure that we get there in time for lunch next time and keeping our fingers crossed that these honey sandwiches are on the menu!